Dynamite Digital specializes in printing large format event signage and wall graphics. Dynamite has extensive experience working with some of the Bay Area’s top companies. 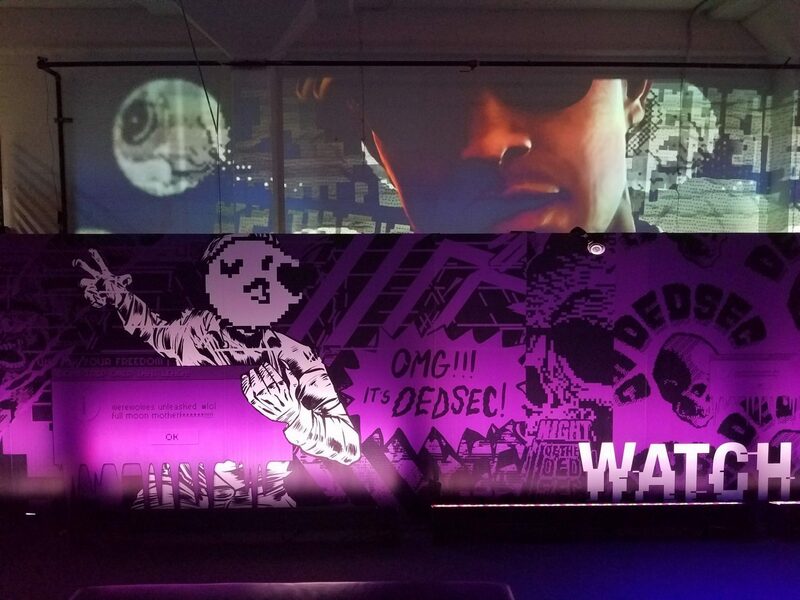 If the goal is to make a large event more exciting and decorative, look no further than Dynamite Digital. 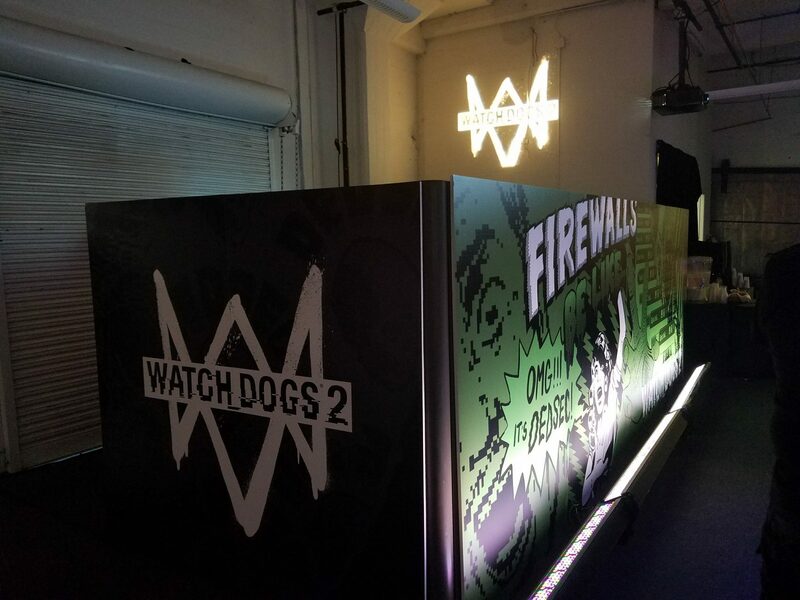 If you’re thinking about putting on an event in the San Francisco Bay Area, Dynamite Digital will handle all your large format printing and signage jobs. 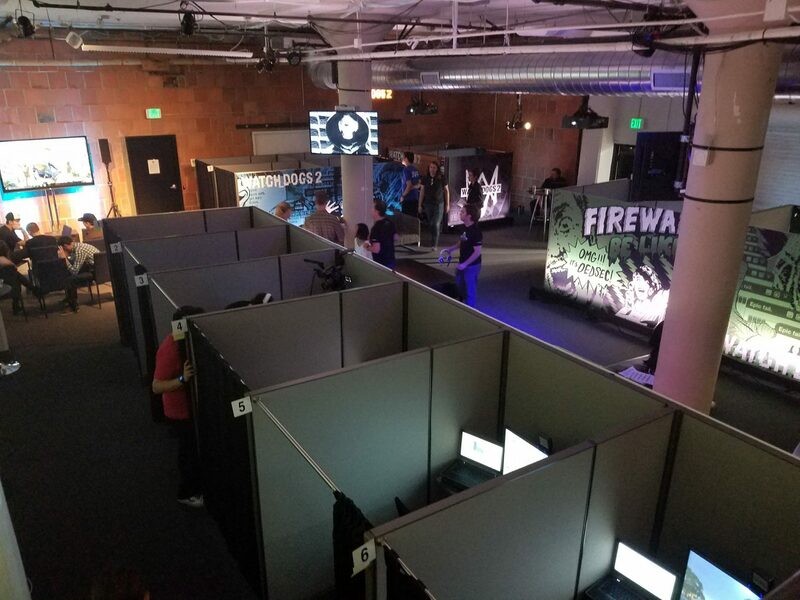 Because jobs vary in size from small event spaces to entire halls, the experienced professional installers at Dynamite will handle the install from start to finish. Some of the most popular requests for events include outdoor signage, wall murals, stage backdrops, adhesive floor graphics, mesh banners, and wayfinding signage. Because of specialized state-of-the-art machinery, there is almost no limit to what materials can be created for an event. There are a variety of options for all sizes, shapes, and mediums. Also, custom-tailored packages can be created to meet any requirement. 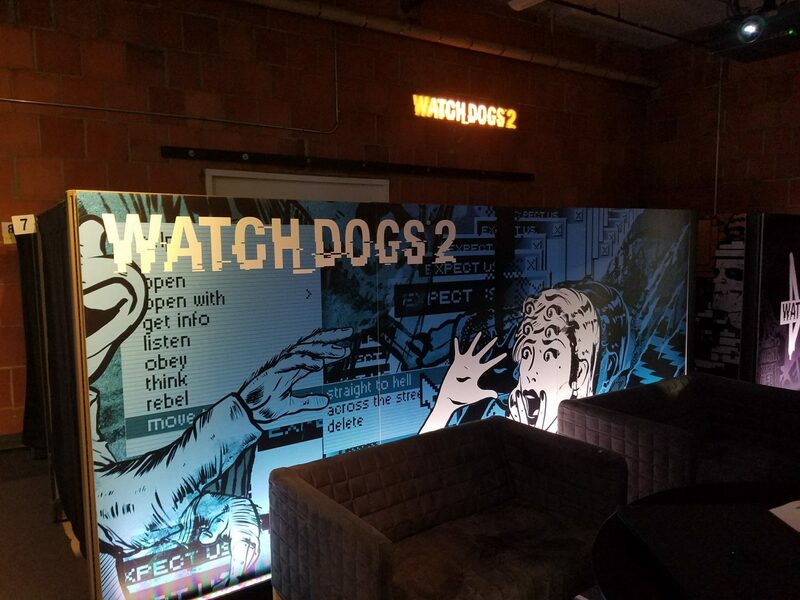 Take a look at some of the wall graphics and signage Dynamite Digital installed for Ubisoft’s Watchdog 2 Launch Event! Notice how the lighting brings out the rich pink and green colors. Transforming a space in a short amount of time is a specialty craft.